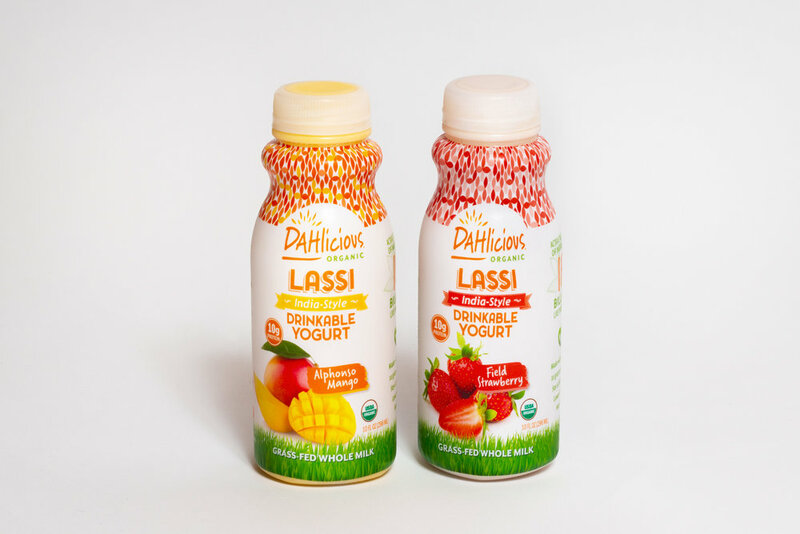 DAHlicious Organic, maker of organic, India-style, probiotic-rich lassi and yogurt, today announced the launch of its new single serve 10oz lassi. Costco will be the launch partner for this new product, designed for portability and personal consumption. Costco will carry one SKU of the single serve lassi: an assorted eight-pack of four Alphonso Mango and four Field Strawberry lassi for $12.99. Costco stores in the Northeast, Southeast and Southwest regions will begin to offer the multipack starting in July. The club store chain is an existing retail partner for DAHlicious Organic, which currently offers a two-pack of 32oz mango lassi in Costco stores across the US and Canada. Lassi (pronounced lus’-see), is Hindi for a yogurt drink, made in the 4,000 year handcrafted, slow-cultured tradition of India. DAHlicious Organic is the only yogurt company specifically dedicated to slow-culturing. This unique culturing method creates a rich and smooth texture, complex flavors and high probiotic counts, which are sustained throughout the shelf life of the product. Both sizes of the lassi are USDA Organic, made with organic grass-fed whole milk. DAHlicious Organic products can be found at Costco, Costco Canada, Market Basket, Select Safeway stores, Whole Foods and select specialty retailers. The company expects its products to be available at additional national retailers this year.